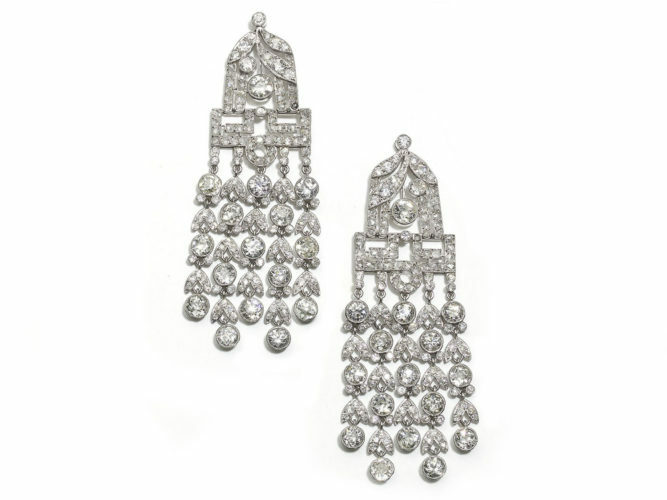 A pair of French, Art Deco, diamond drop earrings, set with old-cut and rose-cut diamonds, in grain and rub over settings, with millegrain edges, each with five tassels of alternating diamonds and double leaves, mounted in platinum, circa 1930. 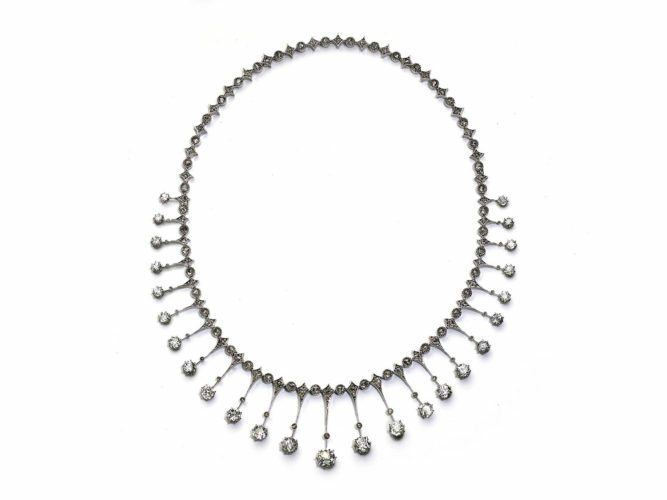 An antique, French, diamond fringe necklace, with rose-cut diamonds in rub over settings, alternating with graduating old-cut diamond drops, with an estimated total diamond weight of 12.00ct, the back piece detaches to wear as a separate bracelet, mounted in silver-upon-gold. A superb selection of antique jewellery, twentieth century signed originals, Art Deco designs, 1940s gold work and vintage creations, from the 1950s to the 1970s, from Moira Fine Jewellery’s renowned collection.